A while ago, I was at a seminar with a group of women I didn’t know. One of them immigrated to The United States several years earlier. She said that her “English isn’t good enough“, and that she feels “defeated and less than”. She wasn’t finding other women who wanted to build a relationship with her, seemingly because of the language barrier. It was obvious—from what she shared that evening—that she is spiritual, intelligent and thoughtful, but she was not hopeful about the future. Even though this woman had been very successful in her country of origin, she lost that confidence after she arrived here. In this new and very different place, she lost the essence of who she was. There are times when I’m in an action-oriented space where I’m ardently planning and putting very specific ideas to paper. I think through the steps that I need to take in order to tackle a particular goal. Then I tweak the plan and analyze it from a different perspective. There are times when I’m still and contemplative. I ponder and pray and think a lot. I write fluently as something comes to me, scribble notes on random pieces of paper or, if I’m on the road, commit my thoughts to a recorder. When I’m in this place I’m allowing the energy of my core being to propel me forward—sometimes faster than my human brain can keep up with. Two different methods—both tapping into the essence of self. What Exactly Is Your Essence? 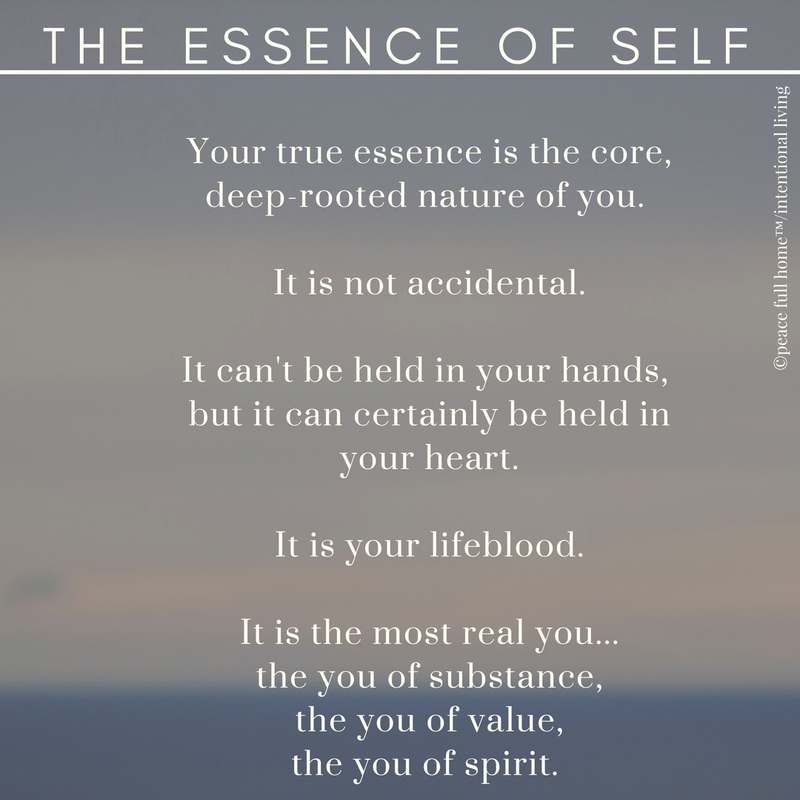 Your true essence is the core, deep-rooted nature of you. It often takes on different forms (like my two methods of writing). It is not accidental. It speaks to what is most significant in your life. It is connected to your spirituality. It can’t be held in your hands, but it can certainly be held in your heart. It is your lifeblood. It is the most real you—the you of substance, the you of value, the you of spirit. In order to get in touch with the essence of self, you have to be willing to open your eyes. And, you have to be willing to allow your eyes to be open. I had lunch with a friend, whose position at the company where she worked for two decades had been eliminated. 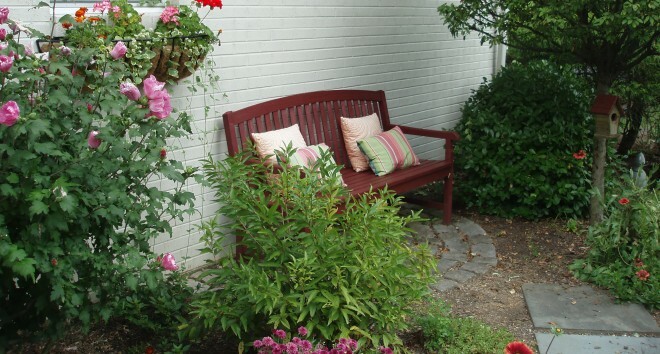 She’s an outgoing person with a loving family and a wonderful life. The place she had been employed at, however, was toxic. She told me that she “hadn’t realized how bad it was until she’d been away for a couple of weeks”. The true-nature of her personality was minimized and marginalized so much that she began to “shrink”. The essence of her was being so bombarded by negativity that it threatened the core of who she really is. The integration of negativity is often so slow-moving that you don’t really recognize it, and it simply becomes the new way of life. Until you’re divorced from a workplace, situation, person (or group of people) you often don’t see things completely realistically. Just like socks on TVs, once you get used to something it loses its shock value, and that’s when we, too often, lose touch with who we are. So, where are you with being true to your essence? Do you move through life with joy and grace? Are you at peace with your circumstances and joy-filled through your days? If so, you’re probably “tapping in” beautifully? Do you often struggle with an innate knowing that something’s just not right? Are you experiencing inner conflict with a great divide between who you want to be, and who you’re showing the world? If so, you may need to get back to the essence of who you are. If you no longer have any idea of what your essence is, it may be time for some soul-searching, or conversations with those who love you, or reaching out to someone like me, who truly wants you to live a peace-filled/intentional life. Always remember that there are no do-overs. There are no second chances for the days we leave behind. There is only tomorrow and then tomorrow’s tomorrow. What will you tap into in the time you have left? This entry was posted in Inspiration, Living Intentionally, Living Your Best Life, Peace Full Home and tagged "do overs", barriers, careers, challenges, conflict, essence, Grace, healthy living, joy, language, lay-offs, Life, planning, writing. Bookmark the permalink. What will I tap into with the time I have left? Hopefully I’ll be tapped into thought provoking individuals like you! Thanks for your thoughtful words. Thank you for YOUR thoughtful words!